I couldn’t help but smile. 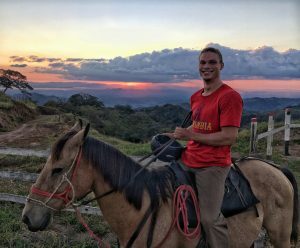 I was literally riding off into the sunset on horseback, surrounded by one of the most breathtakingly beautiful places on earth. 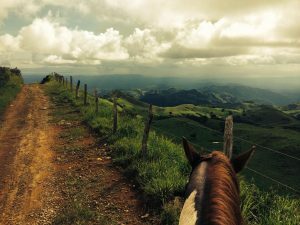 As we trotted down the path, I tried to take it all in. 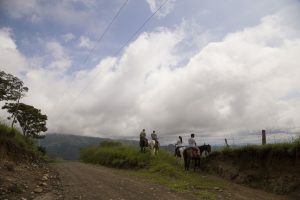 Warm, friendly, bi-lingual guides led our caravan of caballos. 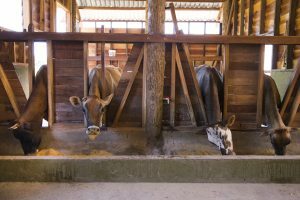 They explained our surroundings, funny local phrases and the farm’s austere dedication to working with and preserving the environment. 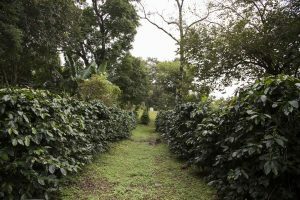 We learned that Finca Madre Tierra was the first carbon-neutral multi-purpose farm in Costa Rica. 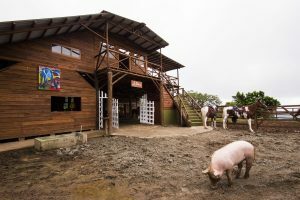 This means that for all farms that house animals, cultivate crops and provide tourism experiences, their farm was the first to be certified by the government to soak up just as much, or more, carbon than what it produces. 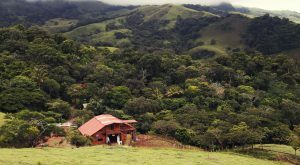 This effort is accomplished by planting and tracking trees to balance out how many cars, cows, and other carbon producers are active at the farm. 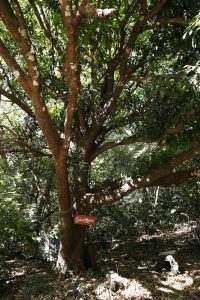 With Global Warming and many businesses carbon footprint continuing to rise, Hotel Belmar’s dedication to being sustainably different impressed my family and me, and I was grateful that people like the farm managers and guides work so hard to ensure our planet will be just as plentiful and beautiful for generations to come. As I extended my GoPro stick again, I took in the scenery behind me as well as the looks on my family’s faces. The smile spreading across my little sister’s face was priceless. 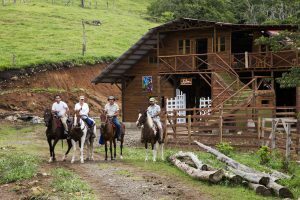 It was her first time on a horse, and the farm’s natural horsemanship positive reinforcement training ensured that the horse was docile, obedient and perfect for my scared little sis. 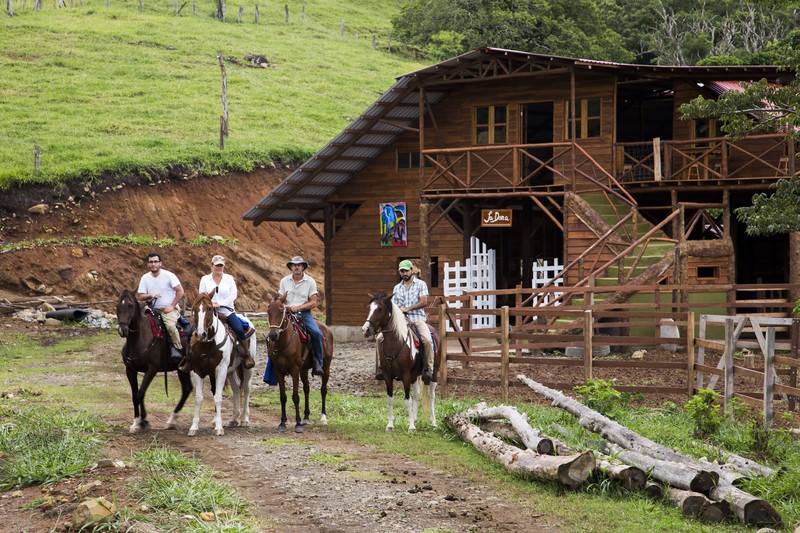 After about an hour on horseback, meandering through trails, crossing small streams and taking in the breathtaking views, we arrived back at the farm. The farm managers were waiting with wide smiles and water, ready to hear about our adventure. 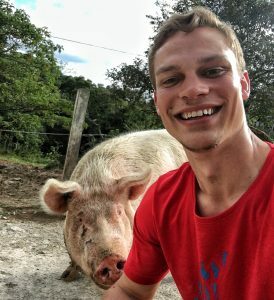 We took one last lap around the farm, saying goodbye to the free range chickens, the cows we milked earlier, and of course, the farm posterboy Babe, a three-hundred pound pet pig. 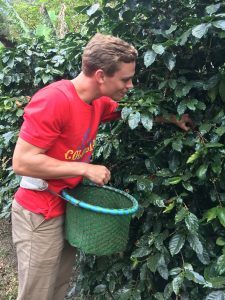 With a full stomach after our tico snack, we grabbed the hand full of coffee beans we had picked and took one last swig of sugar cane juice. 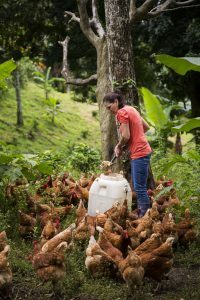 Now, we knew that the eggs, cheese, and coffee we’d be enjoying at the hotel were coming from an authentic, environmentally friendly place that we had holistically experienced. Not surprisingly, it made everything taste and feel that much better. 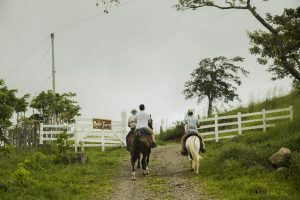 On the bumpy ride back, my family and I reminisced about our favorite day in Costa Rica so far, reliving the horseback ride, reciting the information we had learned and already planning our next trip back to Madre Tierra.